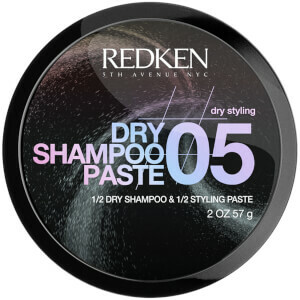 Ideal for fine hair types, the Redken Dry Shampoo Powder absorbs excess oil whilst delivering light volume and root lift. Utilising purifying Charcoal, the loose powder can be massaged into the scalp in between washes to extend and refresh your style, or applied to clean hair to add subtle texture and definition without white residue or staining. Non-aerosol. Shake gently at the roots and massage into hair and scalp. Brush through to remove any excess. Zea Mays Starch / Corn Starch, Tapioca Starch, Sodium Bicarbonate, Charcoal Powder.